Margaret McGaffey Fisk has a regency romance out, Beneath the Mask (both e-book and trade paper; Amazon link). Next week, I’ll have a guest post from her. Dawn Bonanno has two short stories published this month, one in Bards & Sages Quarterly (Kindle link), and the other in Nature magazine’s Futures feature (direct link). I’ve also been doing other reading, of course. Every fall, I read Bradbury’s The Halloween Tree to my son. This year, my daughter decided she wanted to listen in, too. She had scary dreams one night from it, but loved the story. I started Anne Hillerman’s Spider Woman’s Daughter, but I had trouble getting into it. I don’t know whether it was my mood, or what, but I found some of the craft details problematic (paragraphs felt put together in a clunky fashion) and I was irritated by what seemed to me everyone missing the obvious clue at the beginning. That said, from the part I read, it did seem to be a reasonably true continuation of Tony Hillerman’s work, and I would suggest others check it out for themselves rather than taking my word for whether it works or not. Oh! And I fell in love with Maggie Stiefvate’s Raven Cycle books. Only two of the four are out yet, but if you like YA, or Welsh kings in Virginia, or ley lines, or quirky characters (and they are all quirky) who each have their own story, you probably want to check this out. Just picked up Neil Gaiman’s latest, The Ocean at the End of the Lane, from the library yesterday. I’m anticipating getting it read this weekend around trick-or-treating (the Friday before Halloween in our city), Halloween parades, and other activities. The best part of today — not going to my daughter’s Halloween parade at school this morning, not that my son wants me to take him to the library to get the book he has on hold before I take him to his friend’s house for a sleepover, not even the trick-or-treating (which is guaranteed to make my feet ache). 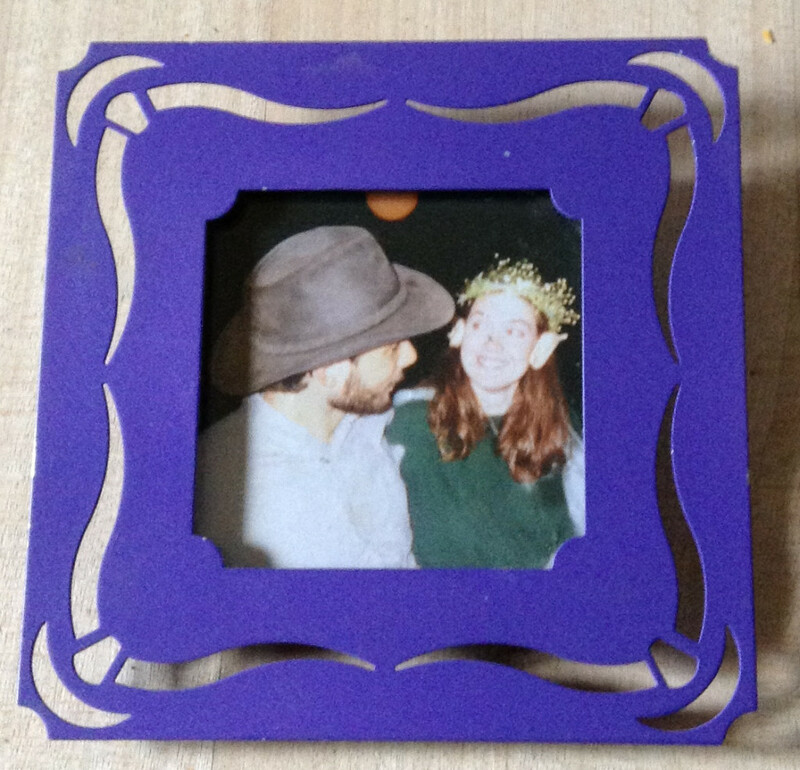 No, the best part of today is remembering that it marks seventeen years since I met the wonderful man I married. I keep this picture on my desk. Tagged David Bridger, Dawn Bonnano, Margaret McGaffey Fisk, photos. Aww, happy anniversary. And thanks for the call out :). Sounds pretty busy despite the illness. Carry on! … and … isn’t it hard to turn off the editor when reading other people’s stuff! The Raven Cycle and Gaiman’s latest are on my TBR list. I’ll be interested to hear what you think of his. You’re most welcome. I feel so slow on posting the news.